Marking its 21st year serving aerial markets in Australia and New Zealand, Genie, the Aerial Work Platforms (AWP) segment of Terex Corporation, is celebrating the significant milestone anniversary with its customers across the region. “This is a fantastic result for Genie Australia, and we have made it our business to support larger hire access companies, mid-tier firms, SMEs and start-ups over the last 21 years,” said Brad Lawrence, Genie General Manager Australia, Terex AWP. Since 1997 in Australia and New Zealand, and for more than 50 years globally, Genie has stood behind its customers and their equipment long-term, said Lawrence. Genie 360 Support redefines customer support and delivers reduced downtime, increased productivity and the potential for improved returns across five core areas. These include Fleet Management Solutions (which is Fleet Replacement and 10-year Inspections), Genuine Genie Parts, Service and Maintenance Excellence, Technical Support and online training with Genie Tech Pro™ and Genie™ Lift Pro, Machine Specific Operator Training. The results of Genie 360 Support conclusively show that we have been able to enhance fleet uptime across Australia and New Zealand due to our extensive after-sales support and full-service OEM, noted Lawrence. 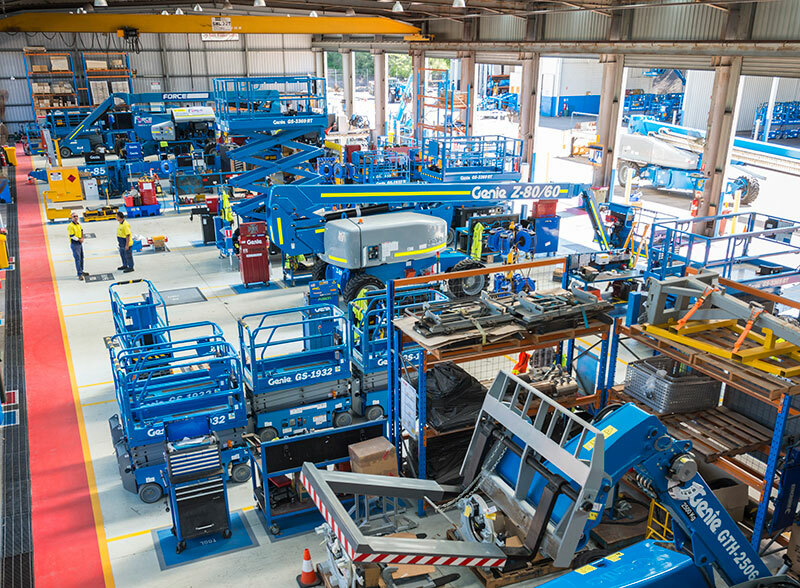 As demand for material lifts and elevated work platforms has grown since 1997, products such as man-lifts, straight booms, articulated booms and telehandlers have joined the Genie product line. “Underscoring the pervasiveness of Genie, a variety of industries and applications in Australia, New Zealand and globally use our equipment, including rental, aviation, construction, entertainment, government and military, industrial, as well as warehouse and retail,” said Lawrence. To celebrate 21 years of partnering with Australian business, Genie is inviting customers to its annual Genie Customer Appreciation Night held in late May. One of the most anticipated events on the calendar, the Genie Customer Appreciation Night is to be held in Brisbane during HIRE 2018.